Life is often full of unexpected events. What if you need to sell your	home NOW, regardless of the current market conditions? Whether the market	is up or down, if you are having a difficult time selling your home and	escaping your mortgage than a short sale could be just what you are looking	for. With a short sale, you can sell your Atlanta home for less than the	amount you owe on your mortgage! 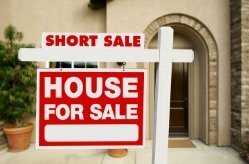 For help understanding and navigating	the short sale process, look no further than Realty 1	st of Atlanta. Get Out of Debt: If you’ve fallen on hard financial times, paying your mortgage every	month can be very difficult. By opting for a short sale, you can free	yourself from your mortgage. Avoid Foreclosure: Going into foreclosure is embarrassing and traumatizing. A short sale is	a great way to avoid foreclosure and sell your home on your own terms. Save Money: It may take a few months for your short sale to go through. During that	time, you can save a decent amount of money and prepare for a fresh start. 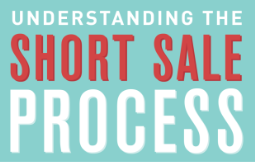 The short sale process is very simple—especially if you enlist the	help of a realtor from Realty 1	st. Create Short Sale Package: You must compile a short-sale package with several documents, including	recent tax returns, bank statements, and a letter outlining your reasons	for seeking a short sale. List Your Home: The next step is to list your home with Realty 1 st. Secure a Buyer: Soon after your home is listed with Realty 1 st, at least one buyer should make a fair offer. Secure Lender’s Approval: Once a buyer makes an offer, you need to receive special authorization	from your lender. Close the Deal: After your lender approves and the details are finalized, you can walk	away without any outstanding debt. When you hire a	Realty 1st short sale real estate agent, you hire an entire team. Each one of our	team members has an area where we specialize on certain tasks in the transaction. Our case worker prepares all the files for your short lender, the appointment	service team coordinates showing schedules, the property manager addresses	all property condition issues and the closing coordinator helps secure	a smooth closing. For the price of one you get an entire team! If you’re having trouble selling your Atlanta or Alpharetta home, our	team will be glad to help you explore your options. Contact one of our	experienced realtors today to learn more about short sales. We also specialize in	rental management!